Cycling is now one of the UK’s most popular hobbies, but it’s also becoming the method of transport for the daily commute. It’s easy to understand why people are choosing to cycle to work – it keeps you fit and healthy, allows you to meander through rush hour grid lock and saves you precious pounds when it comes to fuel and parking. Plus, at this time of year you can enjoy some rare British sunshine – just don’t forget to wear sunglasses and apply sun cream! Whether you regularly cycle to work or are considering giving it a go, here are some essential items to improve your daily commute. When it’s raining outside, it can be so tempting to ditch your bike, but there are some easy solutions. To make sure you stay dry while looking fabulous, choose a fashionable and fitted waterproof jacket – there are plenty of fantastic styles to choose from that you can wear on and off the bike, so you no longer have to worry about arriving at your work place looking dishevelled! It’s also worthwhile carrying a clear shower cap with you on your cycle to work – yes, you read that right! It might sound crazy, but if you wear it underneath your helmet it won’t be visible and it’ll keep your hair completely dry. Brilliant! Let’s face it, bike seats can be uncomfortable. To ensure that your nether regions don’t suffer, and to avoid the dreaded mid-commute wedgie, make sure you invest in some sturdy underwear. Forget anything made from lace or featuring elastic edges, and opt for smooth, seamless knickers instead. Some like to commute in their work clothes, while others like to cycle in another outfit. Whichever option you choose, make sure your clothes are suitable. For work wear, choose blouses and shirts that don’t crease as well as trousers or skirts that have a little stretch. Or dress in sports gear that is made from fast drying, sweat absorbing material. When you’re cycling, it’s always best to be prepared. One of the best ways to do this is by carrying a basic repair kit, including tyre patches, a pump, and bike multi-tool. It’s also a good idea to pack a small first-aid kit, just in case. Chances are you’ll have at least one bag on your commute. You could put everything you need in a waterproof backpack, or to make your ride a little easier, consider adding a basket, vintage satchel, or saddle panniers to your bike frame. As long as you’re prepared, cycling to work can be a lot of fun. So as well as lighting, a lock and a helmet, invest in these items and you’re sure to make your commute easier. Stay safe on the road and enjoy! 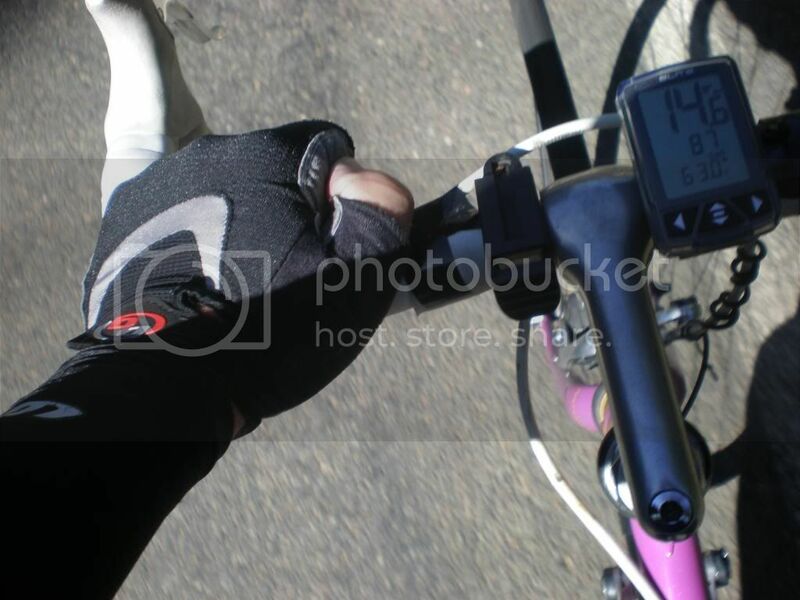 Share the post "Cycle to work? Here’s Some Essential Kit Items For Your Daily Commute"
« OCG in the Indie for Bike Week 2015! Great tips for those cycling to work! Mid commute wedgie does not sound fun lol! I’d love to cycle to work. I need to aim for a more healthy lifestyle and interested so thank you for the tips! Glad you found the post helpful. What is it they say….there’s no such thing as bad weather, just bad clothing! As long as you’re prepared for the weather, cycling to work is a great way to keep fit and healthy. And so many employers have cycle to work schemes now which you can take advantage of. I’d love to hear how you get on. When I was a facilities manager we always made sure we had great bike facilities for the staff as we encouraged them to ditch the car. We had showers too. That sounds brilliant, Jen, I think employers taking steps like this would really encourage more people to switch their cars for their bikes. Some great tips here for commuting cyclists! Great tips- especially having a bike kit on you I never thought about that. There’s nothing worse than getting a puncture. You can get sprays to pump directly into your tyre which will ‘plug’ the puncture. Much easier than changing an inner tube on your way to work. I was already used cycle to go to work. I didn’t even notice it’s useful for health. but i came to know that from your blog. Thanks a lot. Shavon Bartkowski recently posted…Mountain Biking Tips: Which type of bike do you want? I think that’s a fair point. Look out for the dedicated cycle routes near you. There are more around than you might think. I haven’t cycled in a while but really miss it – great list here if I do commute by bike, thank you! Some really useful tips there, especially as the OH is contemplating cycling to work. I’ve already injured myself twice during bike riding. But still I do use my cycle to reach my work place. It’s a very cost effective transportation systems and helps me save my monthly costing as well. However, thanks for the safety tips provided here, my cycle to work will be more friendly following these essentials. Great list to follow. I’ll try to do it.